It’s party time! 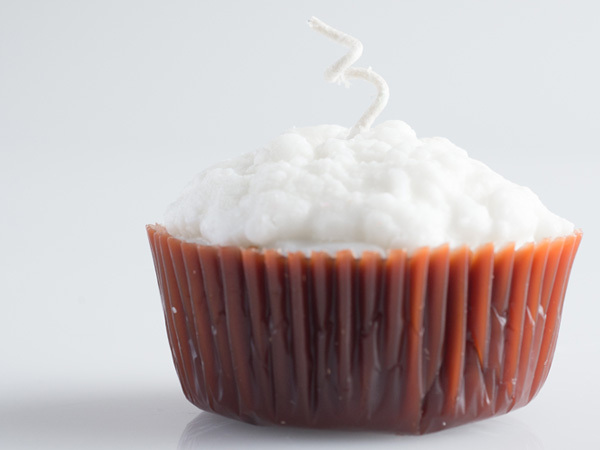 Cupcake candles look good enough to eat, smell delicious, and add just the right fun and festive touch to any occasion. Customize your cupcake candles for scent and color combinations, or color coordinate for holidays, seasons, events, and parties. 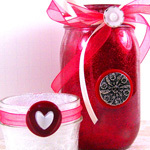 Show your crafty side by making a sweet celebration candle! Cover counter with wax paper, old newspapers or aluminum foil to make clean up easier. 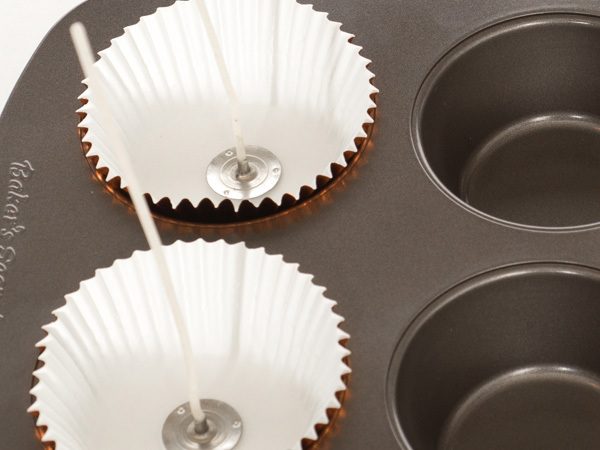 Prepare the cupcake foil liner molds by placing pre-tabbed wicks in the center of the liner. 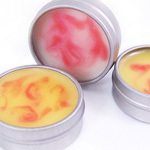 Use a wick sticker to keep the wick centered. The wick sticker can be peeled off later. 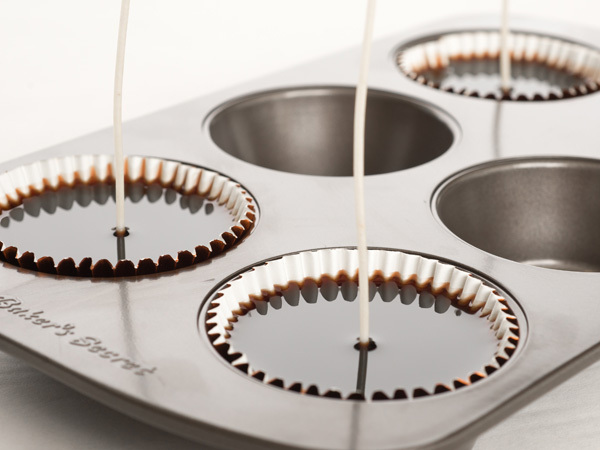 Place the wicked liners in the muffin/cupcake pan and set to the side. 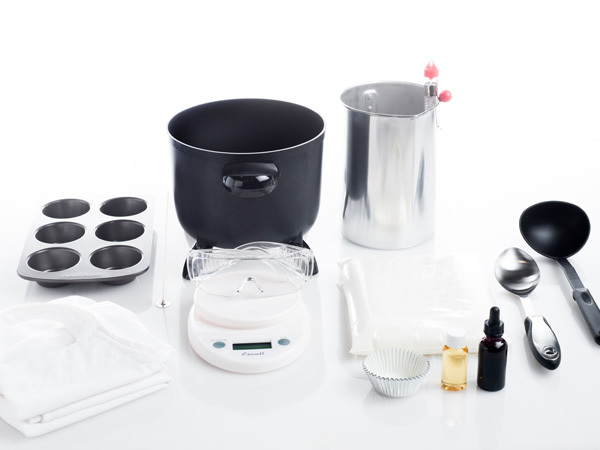 Melt the candle wax with the chosen method – presto pot or double boiler. 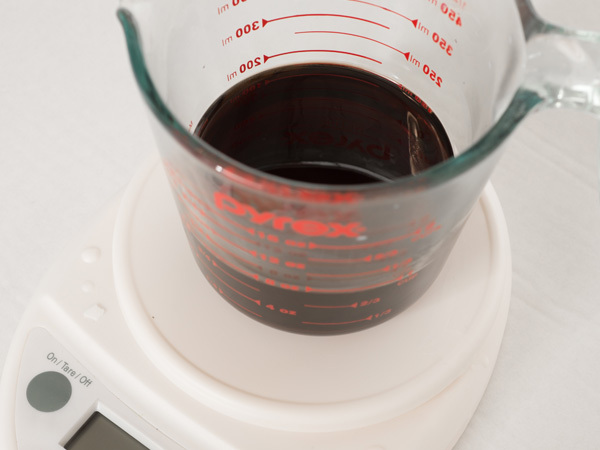 Make sure to follow the wax manufacturer melting and pouring guidelines for correct temperatures. For this tutorial, KY 143 Paraffin Pillar Wax** is being used so it will need to be heated to approx 180°F per the manufacturer guidelines. Use the thermometer to correctly monitor the temperature. TIP: To test the color, add a few drops of the colored wax onto a white surface, like a paper plate, and let cool – this will give you a better idea of what the candle will look like when the candle cools. 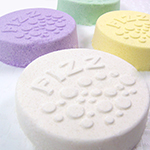 If the wax is not dark enough, add a bit more color, mix, and test again. Dyed candle wax appears darker when it is melted. When the wax has cooled to approx 175° pour into the cupcake liners. Note: Don’t overfill – fill until approx. 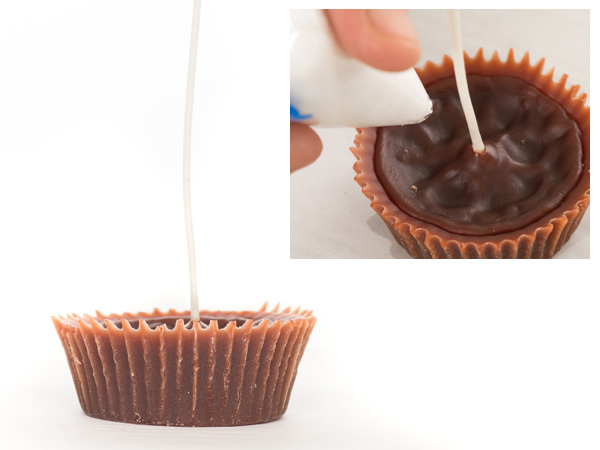 1/8” is left in the cupcake liner – room is needed later to be able to remove the liner from the wax. Once the wax has completely cooled, remove the foil liner and the wick sticker from the bottom. 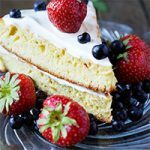 Note: If the tops of the candles are wavy in appearance, this is fine because the wax frosting topping will cover any imperfections. When the whipped wax is a nice consistency, similar to cake frosting, spoon into a Ziploc baggie. Push the warm wax towards one corner and snip off the corner. 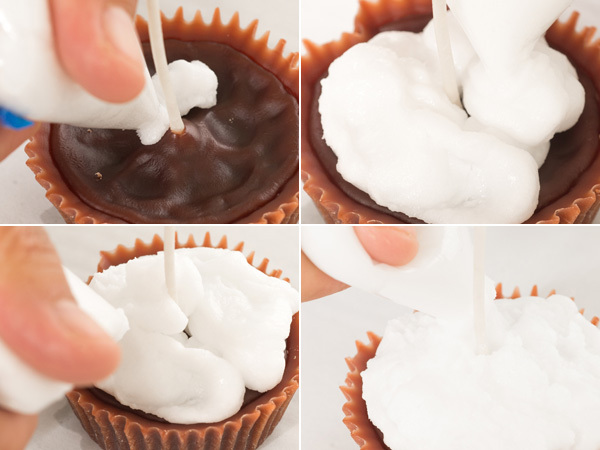 Pipe the wax frosting onto the cupcake while being sure to keep the wick straight. Start from the outer edge of the cupcake while working towards the center in a circular motion. Move quickly because the wax will begin to cool and harden. 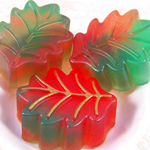 Note: If the wax hardens too much during the process, simply re-melt, whip & begin again. Let the candles cool completely. Once completely cool, trim the wick to approx. ¼ inch, place on an appropriate pillar holder, light & enjoy! 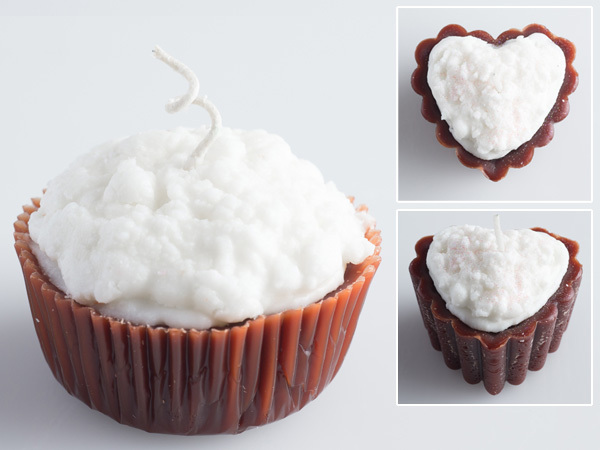 Use the Ruffled Mini Heart Silicone mold for the cupcake base.